Many people find the following video compelling and reflecting their experience with the Feldenkrais Method. 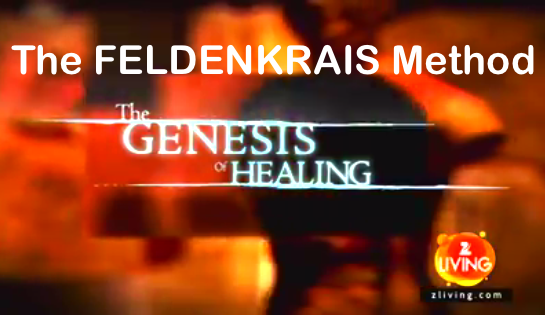 The video was produced by Brush Fire Films and was broadcast as part of a series on healing in 2007 called "The Genesis of Healing". This video does not appear as part of their collection. 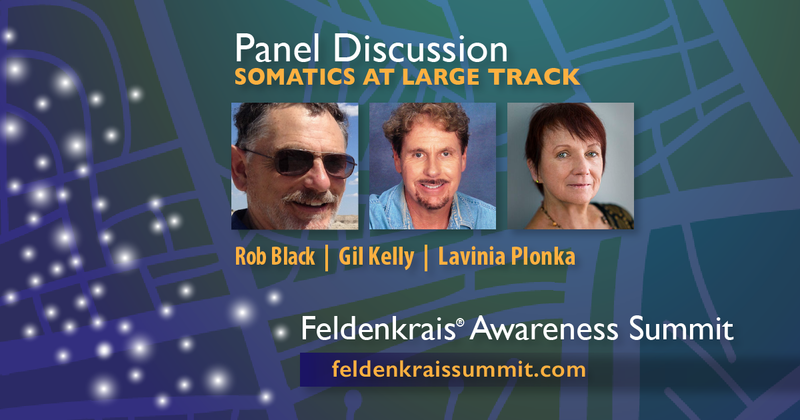 Consider the FELDENKRAIS PROFESSIONAL TRAINING. The training is an extraordinary opportunity for both personal and professional development. In the process, you will acquire the knowledge of how movement and function are formed and organized, all within an organic learning model. You will become aware of your own movement, as well as become acute observers of movement in others. Learn how to teach others to enlarge their awareness and movement skills. The Busy Person's Guide to Easier Movement by Frank Wildman, PhD ISBN 1-889618-75-6 Softcover, 188 pages $14.95 ($4.50 s/h) USD Available from the Movement Studies Institute, (800) 342-3424. Mindful Spontaneity, by Ruthy Alon. $24.95 USD Available from the Feldenkrais Guild (800) 775-2118. Relaxercize by and David Zemach-Bersin and Mark Reese $23.00 USD. Available from the Feldenkrais Guild (800) 775-2118. ATM Video Series I (1-4) by Stephen Rosenholtz PhD Four Video tapes series available, each with four lessons per tape. $39.95 USD Available from the Feldenkrais Guild (800) 775-2118. Anyone who is subject to the grim tug of gravity might count themselves lucky that one day, about 50 years ago, Moshe Feldenkrais, in his late thirties, while standing on a wet subma- rine deck, slipped and aggravat- ed an old knee injury. They should also be grateful to the doctors who told him he would never walk again without surgery (surgery that offered only a 50% cure rate), because Feldenkrais decided to fix him- self, and invented a new treat- ment in the process. Fitness Trainers have discovered Feldenkrais-like movements. Steve Maxwell (www.maxwellsc.com) has been promoting a series of movement lessons to help his clients achieve better fitness. From my perspective with the finesse of the myriad of lessons in the Feldenkrais Method, the activities are very familiar, and which I teach regularly. His approach seems very coarse, without of the overall finesse of ATM lessons, and so even the best demonstration models have no fluidity. He apparently has no concept of ease or even elegance. Nevertheless, these give the reader an idea of the benefits of these kinds of moving. Margaret Kaye of Australia has a deep understanding about increasing loast function in the hand. . She has generously shared with us her extensive article about working with three people with difficulties with their hands: a 6-year-old boy with Cerebral Palsy, a computer worker with frozen shoulder, and a musician with focal dystonia. PALM SPRINGS, California — An exercise program based on the Feldenkrais Method can improve the mood and quality of life among people with Parkinson's disease, a new study shows. By damaging neurologic functioning, Parkinson's disease often diminishes quality of life and leads to depression. "The Feldenkrais Method uses easy movement and breath control and flexibility and balance to facilitate more control in the whole body," said first author Lavinia Teixeira-Machado, PT, PhD, from the Education in Health Department, Federal University of Sergipe in Sergipe, Brazil. "I use it in cerebral palsy, autism, and Down syndrome." "We reduced the isolation," said Dr Teixeira-Machado toldMedscape Medical News. "It's very interesting." She presented the finding here at the American Pain Society (APS) 34th Annual Scientific Meeting. To see whether the Feldenkrais Method could help with Parkinson's disease, Dr Teixeira-Machado and her colleagues administered the Mini-Mental State Examination (MMSE), the Parkinson's Disease Quality of Life (PDQL) questionnaire, and the Beck Depression Inventory (BDI) to 36 people with Parkinson's. They excluded four people from further study because of cognitive impairment, cardiopathy, or advanced impairment. Two others declined to participate. The researchers then randomly assigned 15 of the patients to instruction in exercises based on the Feldenkrais Method. The remaining 15 got educational lectures. Both groups attended 50 one-hour sessions, with two sessions given per week. The patients had an average age of 61 years, an average weight of 64 kg, an average height of 159 cm, and an average body mass index of 26 kg/m2. These measures did not statistically significantly differ between the two groups. The groups were also statistically similar at baseline on the Unified Parkinson's Disease Rate Scale Part III (UPDRS III), the MMSE, and the BDI. After the 50 sessions, the researchers tested the patients once again on the PDQL and the BDI. The group receiving Feldenkrais instruction improved significantly on both quality of life and depression while the control group got slightly worse on both scales. The change in the Feldenkrais group compared with baseline was statistically significant for both PDQL (P = .004) and BDI (P = .0005). The differences between the Feldenkrais group and the control group were also statistically significant for both PDQL (P = .002) and BDI (P = .05). "People with Parkinson's have all kinds of trouble with movement, so if we can modify that it would be great," said Kathleen Sulka, PT, PhD, a professor of physical therapy at the University of Iowa in Iowa City. But other exercise programs have also proved beneficial for people with Parkinson's disease, she said, so she would like to see a larger study in which some patients practiced the Feldenkrais Method and others practiced different exercises. "I see this as a wonderful pilot study," she told Medscape Medical News. The study was funded by Conselho Nacional de Desenvolvimento Cientifico e Tecnológico. Dr Teixeira-Machado and Dr Sulka have disclosed no relevant financial relationships. American Pain Society (APS) 34th Annual Scientific Meeting. Presented May 14, 2015. A delightful interview with Dr. Doidge on Feb 13th, 2015 for CBC's The National. This gives a very approachable summary of some of the findings in the book, "The Brain's Way of Healing". The interview is only 10 minutes. The Noisy Brain. Just one of the topics in this delightful 1-hr interview with Dr. Doidge. Enjoy! 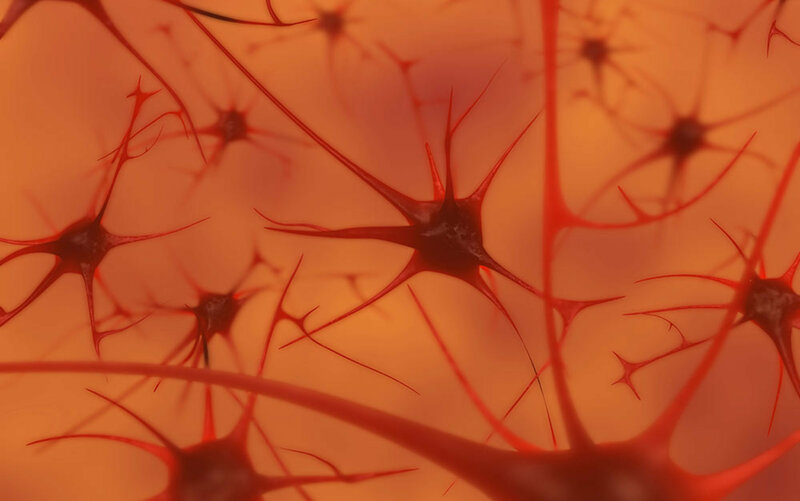 This interview with Dr. Doidge focuses on the underlying principles of brain plasticity and their clinical implications. Although brain plasticity is well-established in the research community it has not yet fully penetrated clinical medicine where old views, which seen the brain as largely fixed in adulthood, make it difficult for new approaches to reach most patients. Click here to listen to the Brain Science Podcast. People who participate in the Feldenkrais Method are usually called 'students', to recognize that they are entering into a learning process. 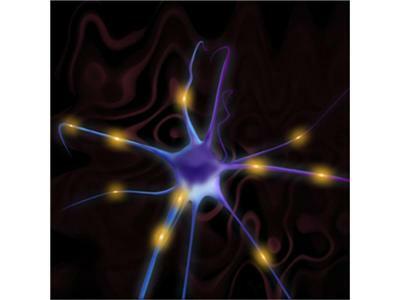 Learning occurs at many levels of the nervous system. 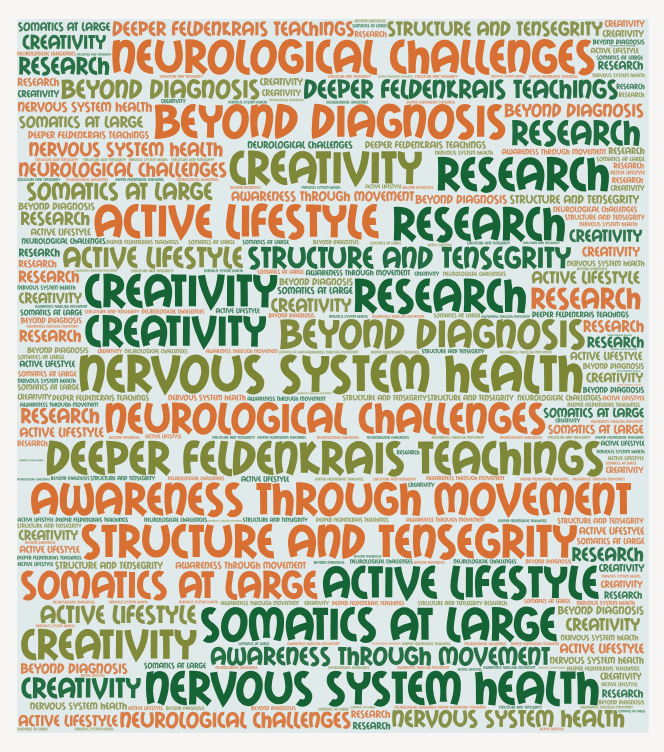 In the Feldenkrais Method, we address many of these levels, often simultaneously. 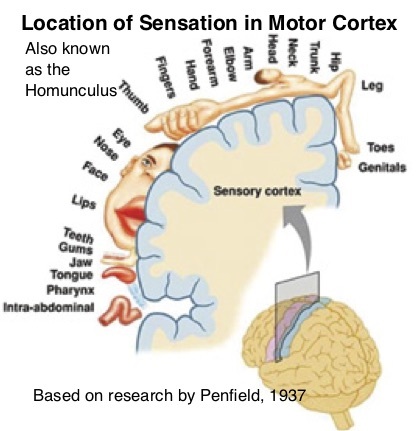 Thus an action can have impact at the conceptual "thought" levels, the perceptual level, and the level of sympathetic nervous system, as well as at the central nervous system. Moshé Feldenkrais was born in 1904 in the little town of Slavuta, in the present-day Ukrainian Republic. In 1918 he left for Palestine and joined the many men and women who are now known as the "Pioneers" of Israel. In the 1930's he went to France to study at the Sorbonne, gaining his PhD studying nuclear physics. He also started the first Judo club in Europe. At the start of WWII, he left France with the other scientists, and worked scientific officer in the British Admiralty. His first book on the Feldenkrais Method, Body and Mature Behaviour, was published in 1949. He returned to Israel in 1951, working again in nuclear physics. He was working full time on what we now know as the Feldenkrais Method by 1955. FELDENKRAIS lessons are intended to allow the student to discover how to embody new concepts, to foster increased level of functioning, physically, emotionally, academically and socially. Most of the lessons touch on the following topics in conventional cognitive ways, but they also draw the student to deeper levels, allowing the student to experience for themselves (e.g. “embody”) the concept. Our computer Brain-or is it? 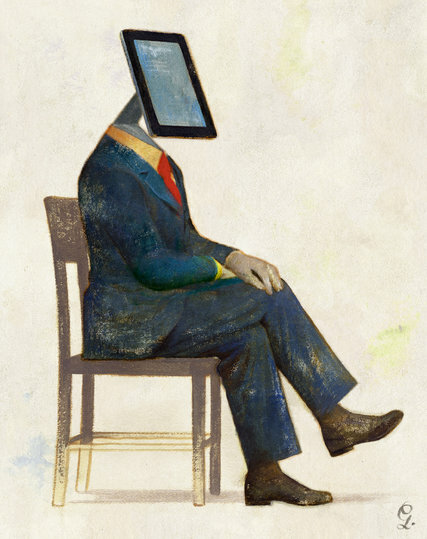 About a year ago, Gary Marcus wrote an article for the New York Times titled, Face It, Your Brain Is a Computer. Dr. Marcus is eminently qualified to present this perspective as he is a professor of psychology and neural science at New York University, and the editor of “The Future of the Brain”. 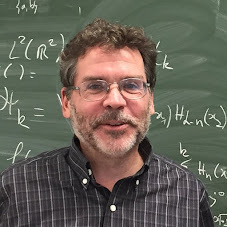 He argues, "Too many scientists have given up on the computer analogy, and far too little has been offered in its place. In my view, the analogy is due for a rethink." Robert Epstein is no slouch. He is a senior research psychologist at the American Institute for Behavioral Research and Technology in California. He is the author of 15 books, and the former editor-in-chief of Psychology Today. You'd think we should listen carefully to him, with these kinds of credentials. (click to read his article) . But read on. We're not in Kansas anymore, Toto. But his article seems to have generated a lot of argument. It's kind of like angry bees. Soon after, Sergio Graziosi had a delightful review of the the flaws, titled, Robert Epstein’s empty essay. (click to read). Sergio seems to have a very broad background and seems to be particularly motivated to debunk anti-science or shallow-science articles. He has some very interesting points to counter the arguments of Dr Epstein. To clarify his mood in writing the article he says, 'Sometimes reading a flawed argument triggers my rage, I really do get angry, a phenomenon that invariably surprises and amuses me. What follows is my attempt to use my anger in a constructive way, it may include elements of a jerk reaction*, but I’ll try to keep my emotions in check." 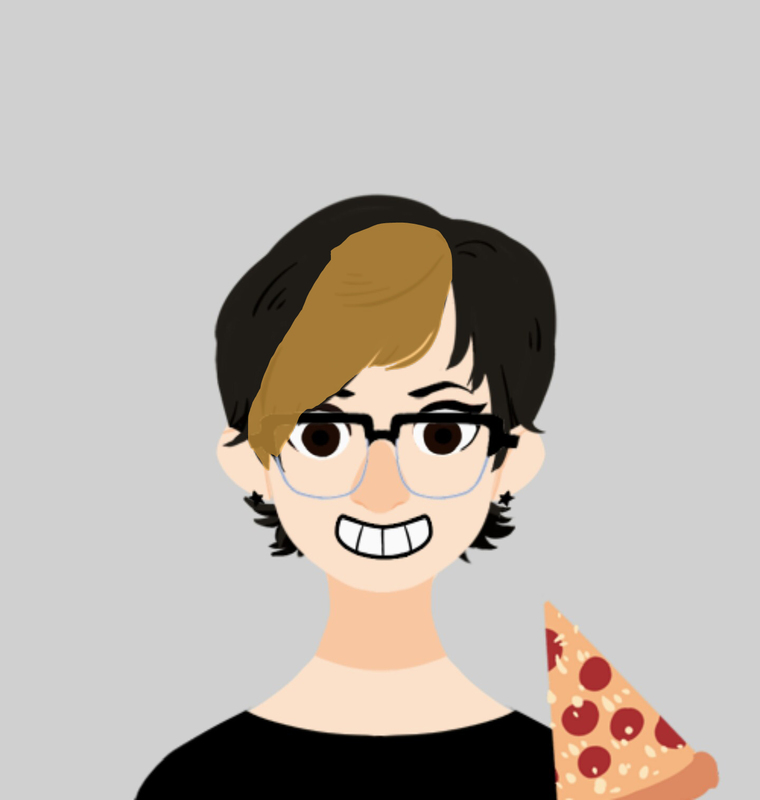 The next article is by Julie Lee, a PhD student in Neuroscience in UCL. In her blog, titled, "The Not-So-Empty Brain, or Lessons Against Confusing the IP Metaphor. Julie's review is more of an analysis of the faulty logic in Epstein's article. It has some good points, and is worth a read (click to follow). She summarized her thoughts as: "Epstein’s well-publicised argument is poorly argued as it conflates two orthogonal stances, (1) the information processing metaphor, and (2) the very much non-metaphoric computational theory of mind. Even if these were the same, Epstein frequently contradicts his anti-representational stance with logical inconsistencies. " Shallit pulls no punches. "The most recent foolishness along these lines was penned by psychologist Robert Epstein" and finished with, 'I don't know why people like Epstein feel the need to deny things for which the evidence is so overwhelming. He behaves like a creationist in denying evolution. And like creationists, he apparently has no training in a very relevant field (here, computer science) but still wants to pontificate on it. When intelligent people behave so stupidly, it makes me sad." Norman Doidge, M.D., on his remarkable new book, The Brain's Way of Healing, which details -- through compelling and dramatic personal histories, including two chapters about Moshe Feldenkrais and the application of the Feldenkrais Method of somatic education -- the miraculous phenomenon of neuroplastic healing in action. Frequently Asked Questions What is the Method... Who benefits? What happens in a session? What is ATM? What is an FI session? How are practitioners trained? Who was Moshe Feldenkrais? Some FELDENKRAIS Basics People often ask us, 'How does it work? ', 'What makes Feldenkrais unique?'. As an experiential and exploratory process, it is best to get to know Feldenkrais for yourself. In this article, Cliff Smyth explores some of the ideas that underlie the Method. About the Feldenkrais Method. Susan Hillier, Associate Professor: Neuroscience and Rehabilitation at University of South Australia, writes, "
The Feldenkrais Method is a way of exploring movement, posture and breathing through hands-on touch, used by dancers, musicians, athletes, actors and people living with and rehabilitating from a range of illnesses and injuries. Terms integral to the method such as awareness and integration are not easy concepts. Click to read more. "Things are starting to come full circle. When I started working with runners in 2002, the dominant belief about running form was still old school: everybody has their own natural form they were born with, and you shouldn't try to change it or you might get hurt. Danny Dreyer of ChiRunning and Nicholas Romanov of Pose Technique were making some headway in changing this but there was a long way to go. Then came the book Born to Run by Christopher McDougall, and within a couple of years the dominant belief reversed completely. Improving your running form became the most important thing you could do to prevent injury and run your best. After a handful of years, though, it became clear that a lot of people were getting hurt trying to force themselves to run differently (mostly working on their own rather than using a program like Chi or Pose or coming to see me). And furthermore the research into the relationship between different running styles (well, different footstrikes and footwear at least) and injury continued and yielded more complex results. And now, as shoe designs swing back to more cushioning, thinking about running form is heading back towards the "stick with what you're born with" view, with the coining of the new phrase "signature stride" and ever more popular recommendation from health and fitness professionals that you stick with what you're doing, it may be good after all. I have a special take on this as a Feldenkrais practitioner who believes there is a right way to run! click to read more. Another Video this week, by my friend David Sullivan, in New Zealand. Have you checked out my FaceBook page: https://www.facebook.com/somaticjourneys -- lots of videos and interesting hints. My brilliant and creative colleague, Allison Rapp just created an infographic of the Health Benefits of the Feldenkrais Method. It's simple, easy to read. Also on my facebook page, Photos area.
. An interesting article that dispels a number of explanations and remedies. If they touch on your favourite remedy, sorry. Again, he saw the necessity to do the action, the movement, "... a second time... pay attention... listen to myself and ... (count them)". Thus there is an aspect of reflection, moving and attending to the experience, and intending to remember. This is what we are developing in the classes and the one-on-one sessions. Some time ago, a colleague offered FELDENKRAIS workshops that had wonderful perspectives. I have retained the announcement because the language and ideas were so appealing. Dennis Leri will give five Awareness Through Movement lesson/lecture workshops based upon the template of the Da Vinci Man. The Da Vinci Man is at once an integrated expression of Science, Philosophy, Art and Spiritual Knowledge. As we will experience in this series, an Awareness Through Movement lesson is no less than that. Science is founded upon definite conceptual and experimental principles. In contextualizing Awareness Through Movement lessons, weíll demonstrate how a Feldenkrais lesson employs the scientific method and then challenges it. 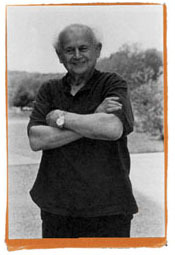 Moshe Feldenkrais helped design the Nobel Prize winning experiments of Joilet-Curie. He carried that design experience over in his creation of Functional Integration and Awareness Through Movement lessons. What is philosophy? How can a self know the self? The Feldenkrais Method in the form of an Awareness Through Movement lesson is a viable philosophical practice with antecedents going all the way back to Ancient Greece. This seminar will indicate and make explicit the path of philosophical enquiry in an Awareness Through Movement lesson and follow it where it may lead. Finding and constructing expressions of form for their own sake -- forms which have never before existed -- is one of the functions of Art. Each Feldenkrais lesson can draw out of ourselves something more intelligible and expressive than we can define or say. Moshe Feldenkrais was a martial artist and made the art of it available to all of us in his work. The relation to other arts will be touched upon. Feldenkrais hinted at and at times explicitly called his method a Way or Path of Awakening. What resonance does our work have to Spiritual practice? Do we dare follow this direction? What happens to us and our students when we allow this view of the Feldenkrais Method to unfold? Permitting a spiritual dimension, while challenging, can ultimately be the most fulfilling and satisfying direction for both practitioner and student. Coming home means one must have left home. The comings and goings, disciplines and practices, that differentiate themselves within the Feldenkrais Method emerge united as a practice in and of itself. Arriving back at the beginning with new eyes, we will see how the practice of the Feldenkrais Method creates its own integrity. Dennis Leri, Trainer, has worldwide experience presenting the Feldenkrais Method in training programs, seminars and workshops. He apprenticed with Dr. Feldenkrais at the Feldenkrais Institute in Tel-Aviv, Israel and has taught the Method for nearly 30 years. His accessible teaching style reflects training in Western and Eastern philosophy, psychology, martial arts and poetics. His published articles on the Method have been translated into several languages. Following are some articles and videos about how the Feldenkrais Method has been used to help musicians. For example, there is the story of Sara, who inspired actors and audiences with her extraordinary musicianship. Sarah’s demanding life-style was not helped by the pain that kept recurring in her left arm. At the beginning of her 4th session (nearly 10 months after the 1st) Sarah reported a sense of amazing liberation from her previously hampering condition. 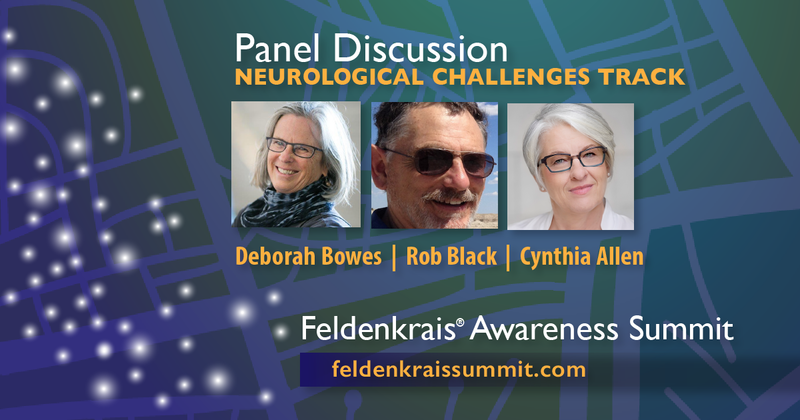 Many people with Parkinson's Disease are finding that the Feldenkrais Method can be a useful way to find new ways to regain movement. Ernie Adams wrote, "For a person with Parkinson’s Disease (PD), the natural rhythm and flow of perception, feeling, and movement is disrupted. There is a disconnection between the intention to move and the ability to start or complete an action. Routine automatic behaviors, such as those involved in walking, speaking, breathing, swallowing, and facial expression, become difficult or unavailable." He continues, "Many people with PD are frustrated with the typical generic prescriptions..."
Our human brain is incredibly complex. Intricately networked, and intertwined with our dexterous bodies, our brains coordinate our moving, sensing, feeling and learning. Out of a lifetime of experience laid down in the dynamic networks of our nervous system our sense of who we are and who we can become emerges. When fashioning his unique movement lessons Moshé Feldenkrais recognized that our sense of ourselves – our self-image – is built on the foundation of our experience of moving.